Wolfendale, Peter. Object-Oriented Philosophy: The Noumenon's New Clothes. United Kingdom: Urbanomic Media Ltd, 2014, cover (detail). Deutsche + Guggenheim. Vision 15 Years Deutsche + Guggenheim. Frankfurt: Deutsche Bank, 2012, pp. 50, 52, illustrated in color. Hulk Elvis. Exh. cat., London: Gagosian Gallery, 2007, p. 25 (fig 19), illustrated in color. Holzwarth, Hans Werner, ed. Jeff Koons. Cologne, 2007, p. 497, illustrated in color. 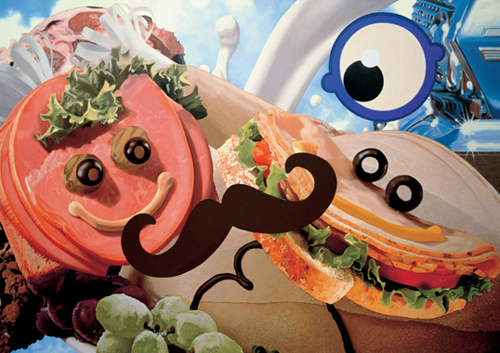 Jeff Koons: Easyfun – Ethereal. Berlin: Deutsche Guggenheim; Ostfildern-Ruit: Hatje-Cantz; New York: Guggenheim Museum Publications, 2000 [Text by Robert Rosenblum; interview with Koons by David Sylvester], p. 63.